Michael Arlen. 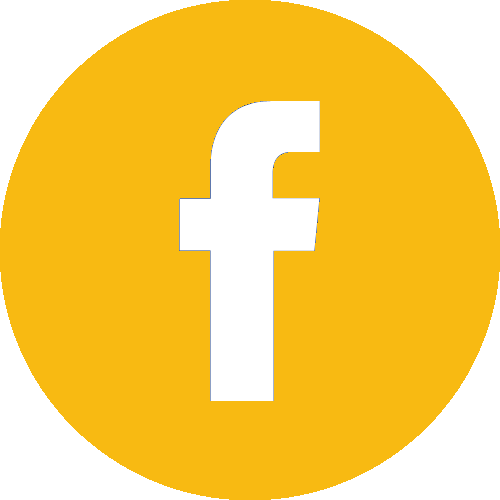 Additional texts by Sir Francis Towle, Professor C.H. Reilly and Sir Malcolm McAlpine. Text illustrations by Cecil Beaton. [London.] Privately published by The Dorchester Hotel. No Date [c. 1931]. Hardback, with boards bound in a zig-zag patterned cloth, pictorial title-label laid down on front board. 49 pages. 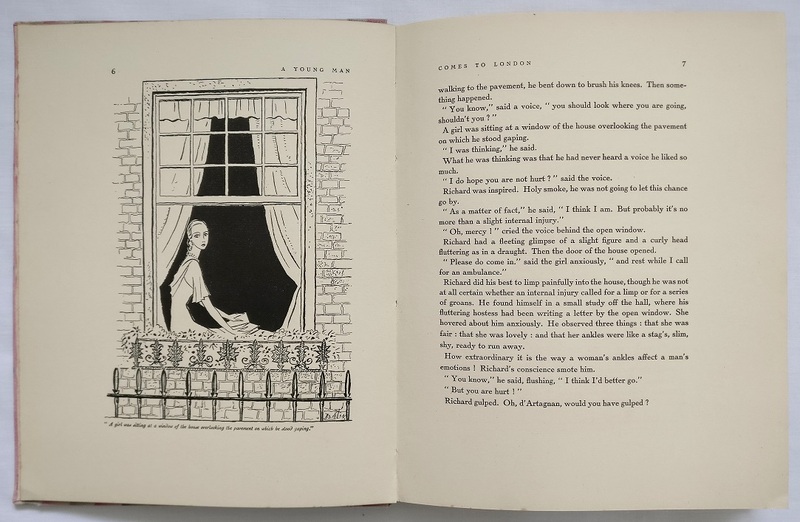 Several b&w text illustrations, including 3 by Cecil Beaton (2 full-page and 1 half-page). 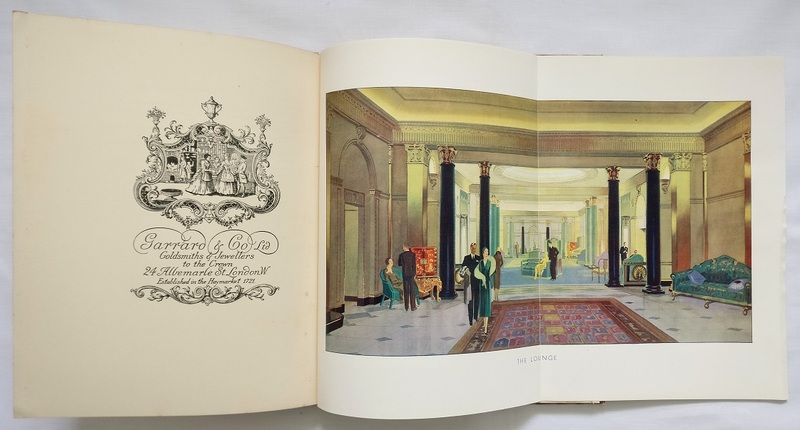 6 double-page hors texte colour plates reproducing drawings of the hotel's interior - the Lounge, the Foyer, the Spanish Grill Room, the Restaurant, the Ball Room and the Park Lounge. 4 full-page advertisements for Garrad & Co., Schweppes, The Gas Light and Coke Company and Abdulla Cigarettes. 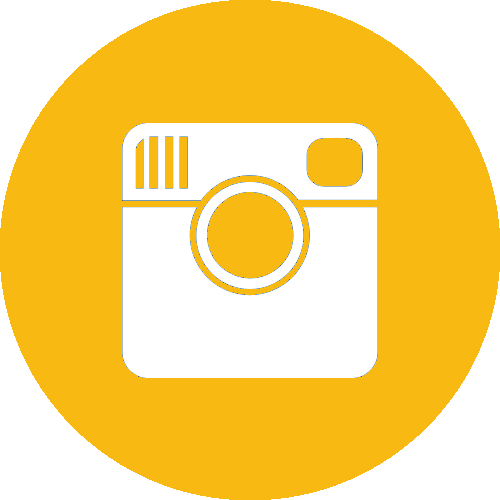 260 x 210mm (10¼ x 8¼"). 0.5kg. . English. Very good; a few light surface marks to cloth boards and front label, spine slightly frayed, light fraying to cloth on rear forecorners; binding beginning to split in a couple of places as is common with this book, off-setting on final two pages; some ink underlining in the later texts, the original owner was obviously interested in the architecture of the new hotel building. 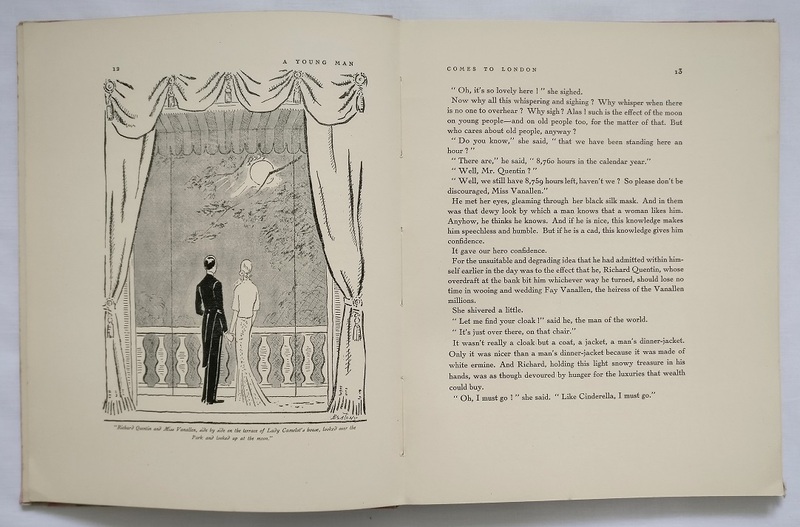 A Young Man Comes to London is a charming promotional book privately published by The Dorchester in London to celebrate it's opening in 1931. Michael Arlen's short story is a satirical romance involving two Bright Young Things on the make. The drama takes place amongst the houses and parties of Mayfair and ends with one of the characters dashing off in a taxi to the new Dorchester Hotel; having just opened that day it is the only place that will give him credit. 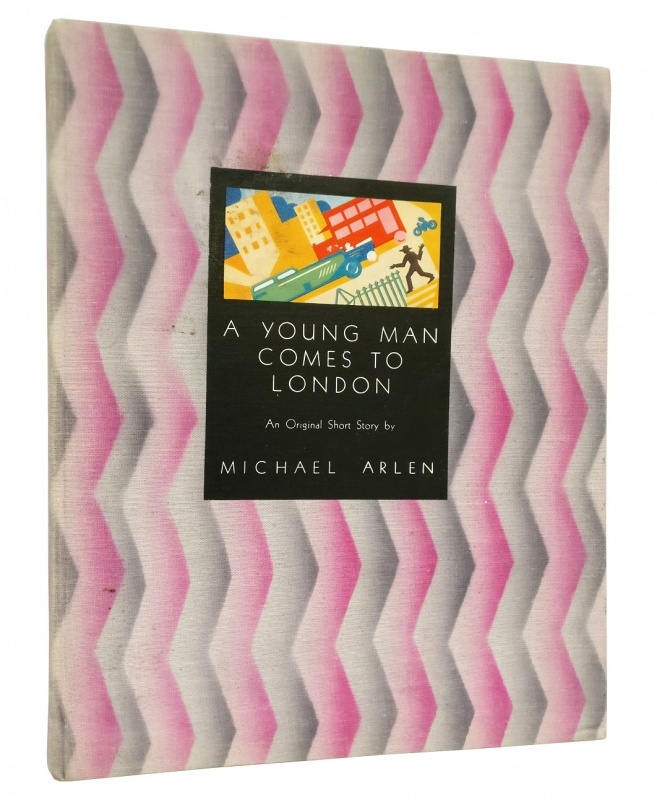 Arlen himself was a figure of London society and his story perfectly captures the mix of flightiness and bravado of the young 1920s set. Cecil Beaton provides charming illustrations. The second-half of the book is devoted to the building and interiors of the new Dorchester. The Hotel's developers Sir Francis Towle and Sir Malcolm McAlpine provide 'A Brief History of a New Enterprise' and 'Some Facts and Figures about the Dorchester' respectively. Professor C.H. Reilly gives an architect's perspective. The colour plates give an excellent illustration of the interiors. 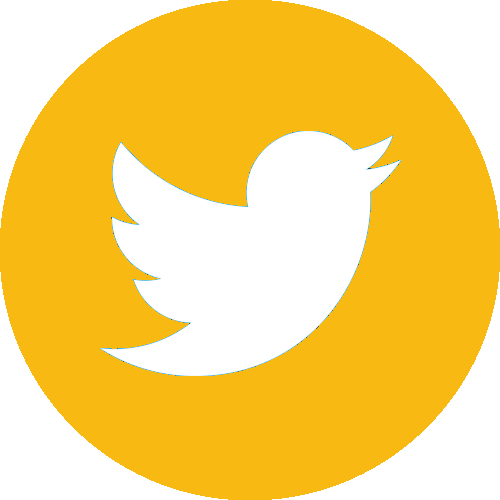 A marvellous social document.